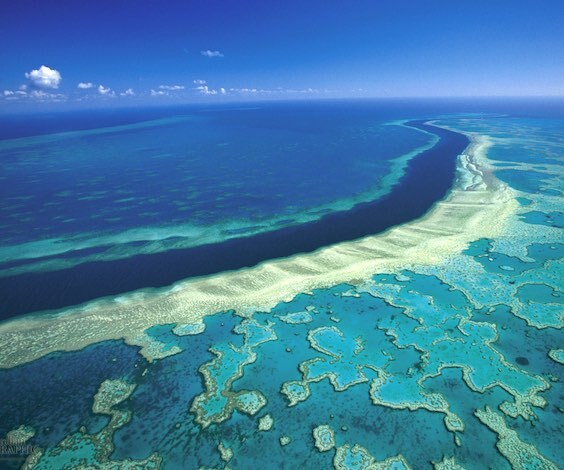 Everyone has the Great Barrier Reef on their bucket list of life. This natural wonder has no shortage of beauty to marvel at. Don’t keep putting your visit off. Let Wicked Bucks give you the ultimate Great Barrier Reef Experience in Cairns. If you’re writing a list of the most stunning locations in OZ, your bucket list wouldn’t be complete without at least one mention of the Great Barrier Reef. Everyone has seen the dreamy pictures of the 74 tropical islands dotted around the Reef. As one of the seven wonders of the world, when you’re there you’ll feel like you’re looking at a desktop screensaver. 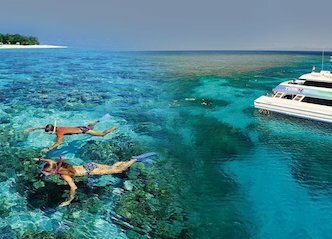 With a Great Barrier Reef Experience Cruise, Wicked Bucks can take you to the renowned Agincourt Reef – A jewel-like ribbon reef on the very edge of the Great Barrier Reef. If you’re not much of an aquatic, you can soak in the dazzling kaleidoscope of colour and brilliance from the safety of the spacious activity platform. For the more adventurous at heart, there are opportunities to snorkel, and scuba dive to your heart’s content. It really is a once in a lifetime experience. There is an option for everyone. Dive, snorkel or stay dry and explore the reef from the viewing platform – it’s your personal reef discovery. Acting Scuba Steve means you’ll be working up an appetite. That’s why Wicked Bucks doesn’t only provide all your snorkelling and scuba equipment, but also plenty of food and drinks on board. Are you trying to hold your inner nerd back from throwing a party at the thought of this field trip? Well you might struggle after we tell you this. The trip also includes a reef presentation from a marine biologist so that you can discover the intricate details of this underwater wonderland. This boat will put your weekend tinny trip with the boys to shame. For your modern voyage, you will travel in safety and air-conditioned comfort on a state of the art vessel. The trip will be so smooth, you might forget your in the middle of the ocean. Underwater it is literally an explosion of colour. Swimming with fish, turtles, coral and more – you’ll feel like you’ve been transported to Finding Nemo. Cairns is the type of place that will quench your thirst for adventure. Offering exploration of some of the world’s most unique eco-systems, an abundance of wildlife above and below water, and a plethora of rainforest treks on your doorstep, you’ll give Nigel Thornberry a run for his money. While a visit to the Great Barrier Reef is pretty much a no-brainer, there are also options for those that prefer to indulge rather than go wild. Every hipster will be appeased by the vibrant coffee scene. The string of chic and chilled cafes all over a cuppa of perfection and a myriad of tasty treats. This tropical North Queensland city also boasts exception markets that will have shopaholic drooling over one-of-a-kind souvenirs. The eclectic stores offer everything from regional produce and macadamia nuts, to skin care and clothing. After a big day out exploring the city, Cairns never fails to produce a good night out to boot. As a hub for international backpackers, you’ll be able to find someone to party with every night of the week. Do we really need to continue? Cairns may be the unofficial capital of North Queensland but it’s soon to be the capital of your ultimate Bucks Experience. Don’t miss out!